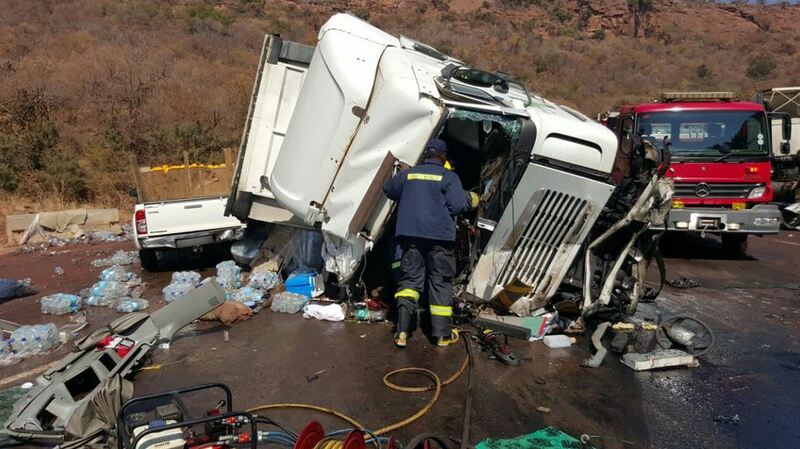 A 19-year-old man was killed this morning and another injured after two heavy trucks collided on the N11 in Kranspoort near Middleburg, Mpumalanga. ER24 paramedics arrived on the scene and found the road completely blocked by the two vehicles. One of the trucks lay on its side while the other was found was up against the roadside barrier. Debris, as well as oil, from the vehicles was now spread across the entire scene. On inspection, paramedics discovered the lifeless body of a man lying on the roadside. Unfortunately, the man had sustained numerous, fatal injuries in the collision. Nothing more could be done for the patient and he was declared dead on the scene. When paramedics inspected the overturned truck, they found a male patient lying trapped inside. Rescue services battled for two hours, using specialised rescue equipment, to free the man from the truck. Once freed, paramedics found that he had sustained only moderate injuries. He was treated and transported to Midmed Hospital for further treatment. It is understood that the deceased had been standing next to his stationary truck when the collision occurred. The second truck had apparently experienced a mechanical failure, causing it to crash into the stationary truck. 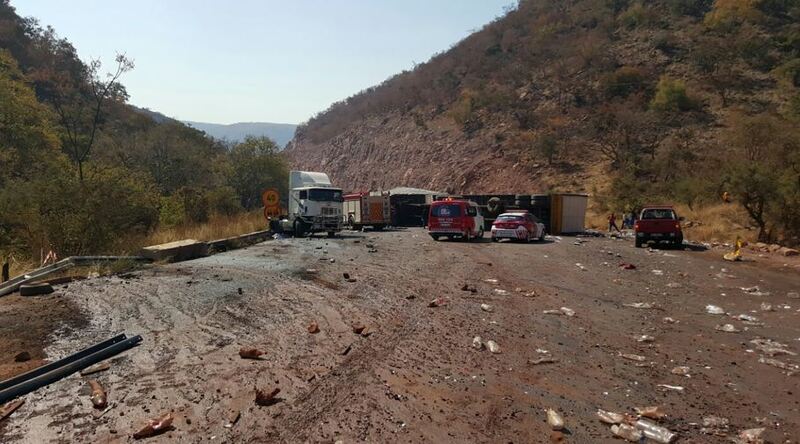 ER24 paramedics were called to the scene by construction workers who had witnessed the incident.